How to get there: This site is walking distance (.3 miles) from the conference hotel. The Outer Limits shop in Long Beach is the oldest continuously operated tattoo shop in America and the second oldest in the world. This shop is a feast for those who appreciate history and vintage details. It is a world class tattoo shop, historical site, and tattoo museum collection. The tour will be led by Kari Barba, world renowned tattoo artist and founder/owner of Outer Limits and Jenny Nguyen, Outer Limits receptionist and tour guide. This site is a small space with no seating, please be prepared to stand for the duration of the tour. 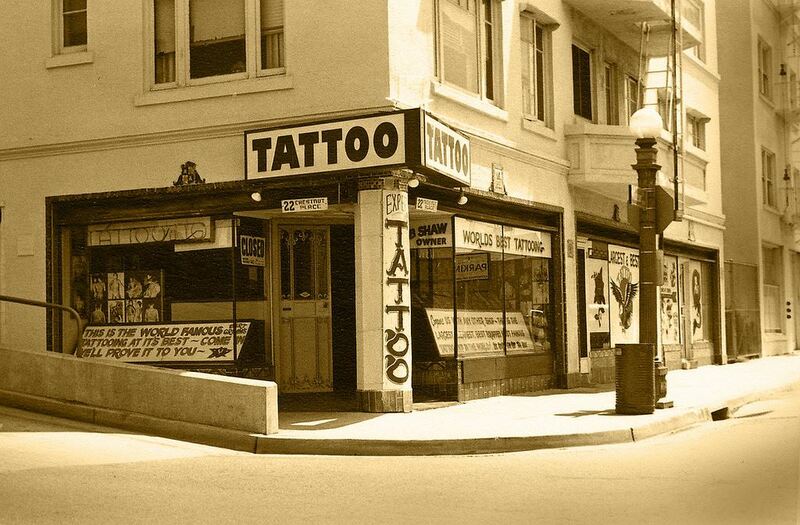 Tattoo shop at 22 S. Chestnut Place, Long Beach, CA, 1960s. Courtesy of Outer Limits Tattoo & Museum. How to get there: This site is an 8-mile drive from the conference hotel. There is no shuttle bus available, participants are asked to drive or use a rideshare service, carpools encouraged. *This site is 1 mile from the Rancho Los Cerritos tour site that starts at 1pm. HSLB was formed in 1962 with the mission to collect, preserve, and present the city’s history. Throughout the years the HSLB has occupied many locations around the city, settling at its current location in Bixby Knolls in 2007. The current exhibit is Chrome! Cruisin’, Clubs & Drag Strips, exploring the car culture in and around Long Beach from the 1940s to the mid-1970s. The tour will be led by HSLB Executive Director Julie Bartolotto and archivist Brandon Werts. 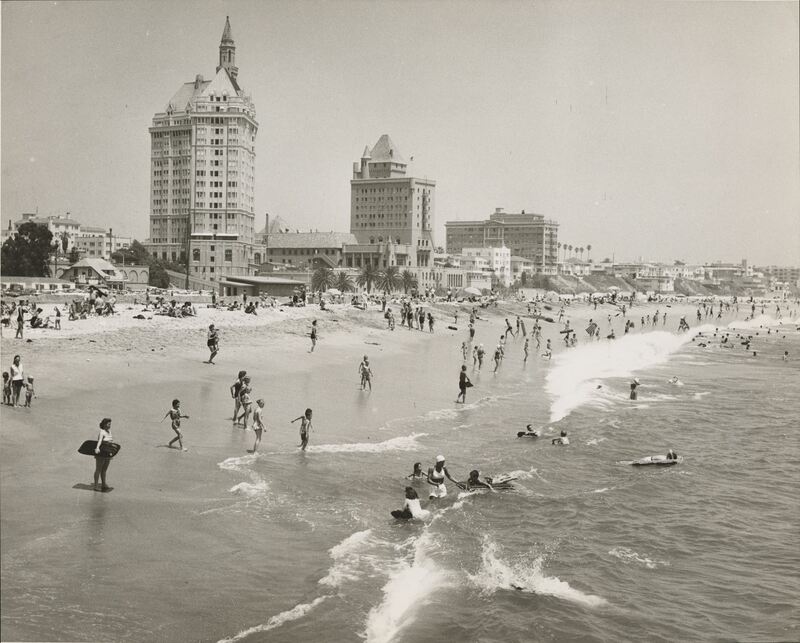 Looking east from the Rainbow Pier, with the Villa Riviera, Pacific Coast Club, and St. Regis buildings, 8/13/1959. Courtesy of HSLB. How to get there: This tour site is an 8-mile drive from the conference hotel. There is no shuttle bus available, participants are asked to drive or use a rideshare service, carpools encouraged. *This site is 1 mile from the Historical Society of Long Beach tour site that starts at 9am. Rancho Los Cerritos is a historic home and gardens located in Long Beach, California. While the history of the land dates back many centuries, the house itself was built to be the headquarters of a 27,000 acre cattle ranch in 1844 by Los Angeles resident John Temple. 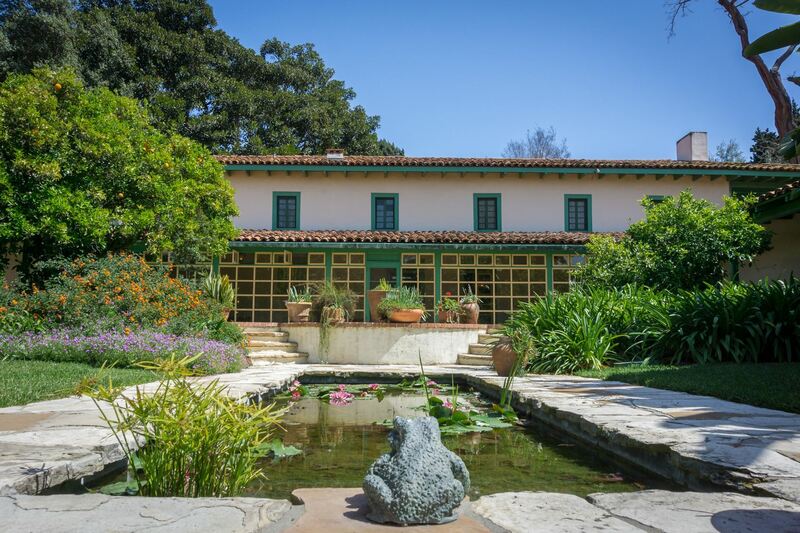 The tour will be led by Rancho Los Cerritos Public Program Specialist & Outreach Coordinator, Alana Reese, and Curator, Sarah Wolk FitzGerald. They will also be talking be about future site of their archives. This tour will include indoor and outdoor locations and walking on uneven pavement. *Lunch around the HSLB and Rancho Los Cerritos (The Bixby Knolls area of Long Beach)- if you are signed up for both, there are many lunch places in this area along Atlantic Blvd. Sign up to carpool to tours of the Historical Society of Long Beach and Rancho Los Cerritos here.